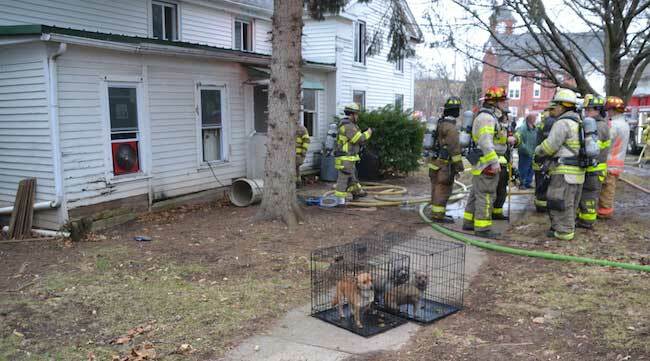 HOLLEY – These three dogs were rescued this afternoon in a fire at an apartment, 11 White St., Holley. Firefighters were dispatched to the scene at 1:58 p.m. They put out a fire in the basement. The residence filled with smoke. A tenant went back inside the house to get one of the dogs. 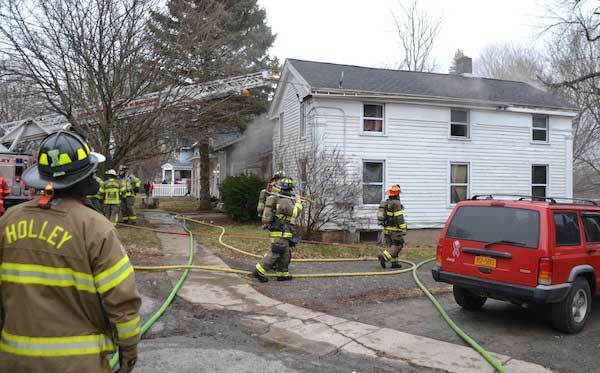 The tenant was taken by Monroe Ambulance to a hospital to be treated for smoke inhalation. Firefighters opened windows and used fans to ventilate the house, which includes two apartments. 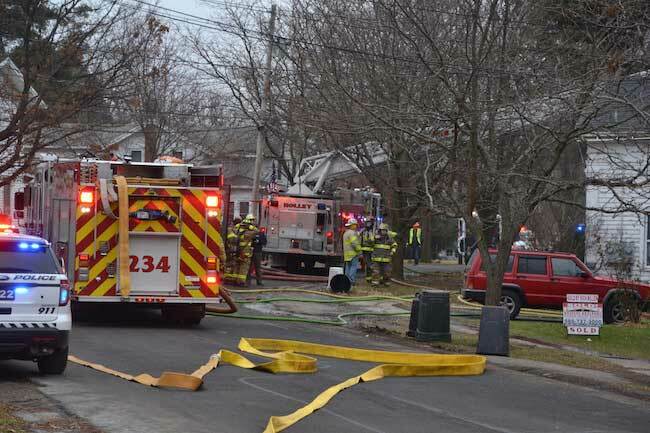 Firefighters form Holley, Clarendon, Fancher-Hulberton-Murray, Albion, Hamlin and Brockport were at the scene, as well as the Orleans County Emergency Management Office, Holley Police Department, Monroe Ambulance and the county fire investigators. 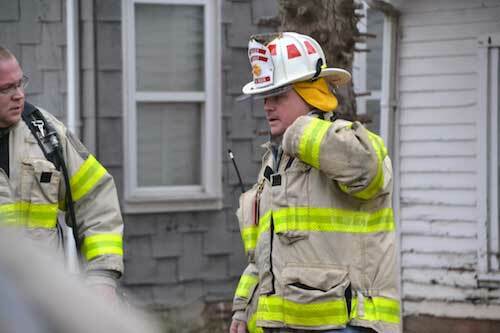 Harris Reed, right, took over as Holley fire chief from Kevin Dann, left, on Jan. 1. This was Reed’s first fire call as the chief.